An education at HIF Swiss International Boarding School and Sports Academy is aimed at equipping students with the knowledge and personal skills to navigate the educational and professional challenges of the 21st century. At HIF young people thrive as they discover their individual talents, develop their intellectual and personal potential and learn to appreciate the benefits of an active outdoor life in a secure, health-giving environment. Hochalpines Institut Ftan is located in a charming village in the South Eastern region of Switzerland, the Lower Engadine, Graubünden, bordering on Italy and Austria, just 3 hours from Zurich airport as well as 2 hours from Innsbruck and Milan. 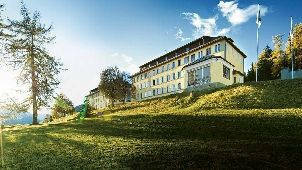 The HIF Campus extends along the mountain side at 1,700 m above sea level, high above the valley. 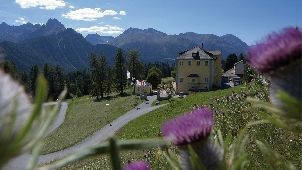 From the window you look out at a grandiose panorama of southern alpine peaks that stretches away into the distance. 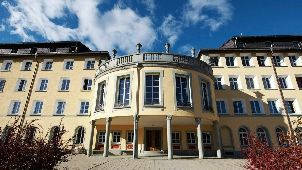 Founded in 1793, HIF Swiss International Boarding School and Sports Academy has been guided throughout its 225-year history by the values of world-renowned Swiss educationalists. HIF is committed to the highest standards of teaching and individual achievement in a school community based on kindness and understanding. At HIF educators help their students discover their talents, develop their pontential and pursue their dreams. As a consequence, HIF graduates believe in themselves and their ability to succeed. They have a strong sense of responsibility to the community as a local, a national and a global citizen and devote themselves to life-long learning. Sports is a core element in the education of all HIF students. 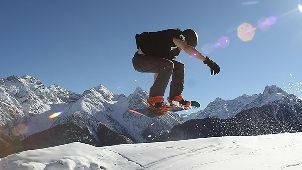 They can combine competitive or leisure sports with all academic programmes. A team of teachers, carers and coaches helps them coordinate individual training sessions, competition schedules and study plans. Sports promotes health and well-being but also resilience, self-discipline and team spirit – vital qualities for future leaders. HIF is a co-educational secondary school offering a range of educational programmes for students in school years/grades 7 to 12. It is accredited by the Canton of Graubünden to prepare and examine students for the Swiss Matura and by the Cambridge Assessment as centre for the International General Certificate of Secondary Education (IGCSE). HIF is a candidate school for the International Baccalaureate (IB) Diploma Programme and pursuing authorization as an IB World School. This combination of Swiss and international educational programmes offers a wealth of opportunities to international students and opens doors to Swiss and international universities. * HIF is a candidate school for the International Baccalaureate (IB) Diploma Programme and pursuing authorization as an IB World School for school year 2020/21. HIF Sports Academy with its team of expert coaches and high-profile training facilities allows students to combine competitive or leisure sports with either a Swiss or international academic programme. Special support and mentoring programmes help students coordinate their training and competition schedules with the demands of school. Sports Package: 2 professional trainings per week. 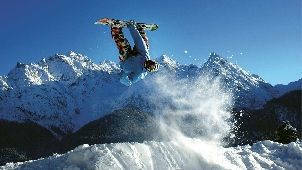 Sports Competition Package: daily professional trainings and competitions. HIF has cutting-edge sport facilities offering opportunities in a wide range of other sports activites. There are also unique fun activities such as project week, school prom, excursions, musical shows or school trips. The school also offers a 2-week summer camp with a wide range of outdoor activities and a language tuition program for children from 10 to 16 years old from across the world. 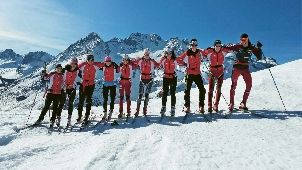 It is fulfilled with language courses, outdoor alpine adventure activities, and Swiss hospitality. Please check more details here.